Last week, I introduced you to the social media listening and publishing application Commun.it. We learned how to set up campaigns and walked through the Actions dashboard of recommended interactions to handle. It was great. Today, I want to show you Commun.it’s Lead and Community tabs. The first helps you identify members of your audience that are ripe for outreach, whether for a sale, for a partnership, or as a potential clients. The second, my personal favorite, breaks down your audience into action groups, suggestion who to follow, who to unfollow, and who you need to re-engage with. Most important, it tells you why. With the click of your mouse you can understand your audience members better and know why Commun.it recommends to connect with them for example. Whala! No more flipping back and forth from your chosen social media listening and publishing to and your Twitter or Facebook account. All the information you need is pulled into Commun.it, from when someone last tweeted to the days and times they liked something you posted. by Ed Carpenter — Contact me for help with your content strategy. Commun.it is a social media listening and publishing platform that I love because it allows users to dive deeper into their relationship with audience members from right inside the application. Want to know how many times some has liked your Facebook post or retweeted a status update? It’s right there in their profile. Want to analyze why Commun.it recommends that you unfollow someone? Review when they last posted to that account, a month ago? Sorry Charlie, they’re fish bait now. In this first review of Commun.it, I show you around some of the best functions: From how to set up campaigns to why the app’s pop-up and light-box bios windows of your audience members can help you make better decisions about how to grow your audience and reach potential clients. Are you a Commun.it user? If so, I want to hear from you. What’s your favorite feature? What can’t you live without? I’m just going to say it: A majority of online marketing content is fundamentally flawed. That’s because it’s being created to achieve shortsighted goals based on clicks or because the person or organization creating the content doesn’t understand the business, school, or nonprofit it’s been created for. When I think of the first, I think of cat videos. Sure, we all get a chuckle out of them, but who do they serve? If you’re PetsMart or the SPCA, these videos are rich content for your customers. For everyone else, it’s click bait. While cat videos might increase your clicks or grow your “readership” (I put that in quotes because cat videos aren’t likely to help your business, school, or nonprofit), they’re bad marketing. The second type of content is worse, in my option, because it reputes to provide value but doesn’t — at least not content created with long-term brand recognition in mind. In a new The Brand Journalism Advantage podcast hosted by Phoebe Chongchua, I highlight the three most important building blocks to creating high-quality web content. Sadly, these steps are completely ignored by many organizations. “Of course, I have those,” you might respond. Do you? Do you know them? Have you written them down? Does everyone in your organization know them? Does everyone believe them.This is a step in the content development process that is often skipped. But I think it is the most important. Take Apple Inc., just because everyone knows them. What is Apple’s identity? It’s a technology company based in Silicon Valley, the cradle of world’s high-tech innovation. Remember when Apple changed its identify from a computer technology company in 2007? Can you say iPod, iPad, iPhone? What are Apple’s beliefs? It believes “technology should just work.” That means it should be intuitive. It believes technology should inspire. It believes technology is hip or cool or tight, however you care to phrase it. What are Apple’s values? It values design, so much so that it is integral to its products from the outset. It values simplicity. It values imagination and creativity. The Apple’s of the world have IBV in their bones, from the employees who design the iPhones to those who package their computers in those oh-so-precise boxes. But what’s important, what’s key, is that EVERYONE knows this about Apple, even you do — although you might not have thought about it explicitly. To be a good content creator you must understand these three traits about the person, product, or service you’re writing about to make a story sing. Rather than ask “What,” ask “Why.” That’s a much more important question. It gets at identity, beliefs, values. It’s infused with motive. And emotion resonates with people. Learn more, including how I’d help save a financially troubled company in 30 days with just $1,000, a cellphone, and a laptop — all part of the podcast. by Ed Carpenter — He’s a bad mutha … shut yer mouth. During a recent OakTech Talk seminar with Beth Kanter, author of the “Networked Nonprofit,” someone asked whether their nonprofit had to be on social media. Well, you don’t have to do anything. But whether you work for a nonprofit, private university, or small business, you have a valuable message to communicate to clients and customers. Kanter’s advice: Build your social network. But don’t try to do everything. Strategically choose what’s likely to be most beneficial. Stay with it. Measure it. Learn from what it has to tell you and what questions it raises. Who does your brand engage? What type of content resonates with readers? There are many advantages to being on social media, not the least of which is that you can reach readers, clients, customers, and investors where they are—rather than depending on them to find you online. Now a days, being where readers are means better search results. That’s because search engines in recent years began including results from Facebook, Twitter, and other social media platforms. Driving readers from social media to your site improves your search engine score and improves your rank in the search engine algorithm. 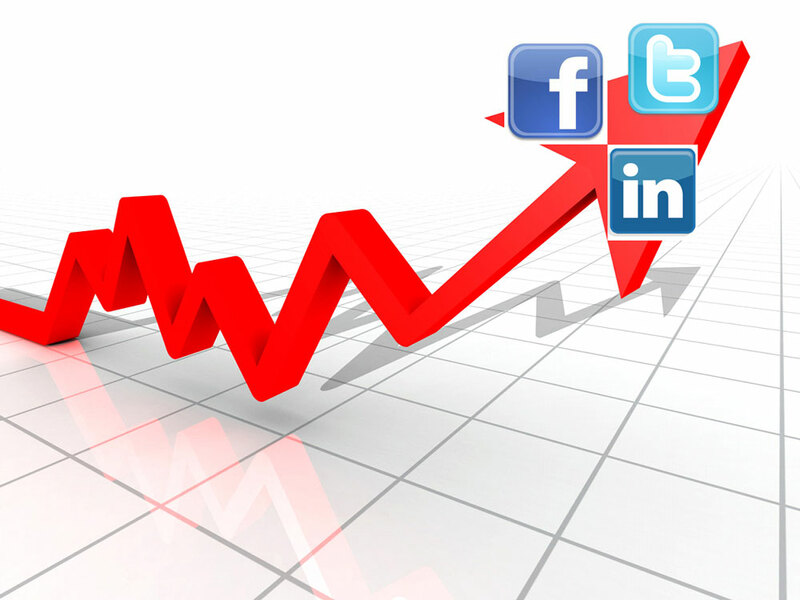 The more your social media posts are discussed and shared the better for your search results. So, if your “How Social Can Help Your SEO” post goes viral on Twitter, you can bet Google, Bing, and Yahoo! search will take that into account when someone searches “SEO”—placing your site nearer the top. At Web Content Insider, we dig into how online content works best. Have a question about social media strategy or branding? Want to be a guest writer? Shoot us an email or do the Twitter, Facebook, Google + thing.